Psychotherapy and Counselling: Pseudo-Science or Pseudo-Myth? Home / 2014 / March / Psychotherapy and Counselling: Pseudo-Science or Pseudo-Myth? In this article Dr Tyler reviews how psychology takes its understanding from its conception of psyche, especially in the relationship between mind and body. 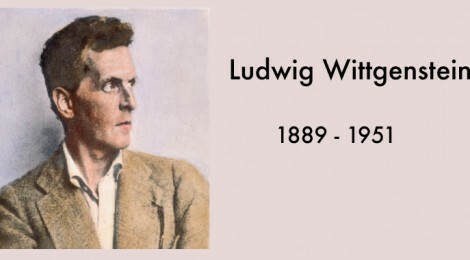 Drawing on the writings of Ludwig Wittgenstein (1889 – 1951), he argues that it is more fruitful to see psychology as a means of ‘seeing the foundation of possible buildings’ rather than appealing to the pseudo-objectivity of science. From Sigmund Freud (1856 – 1939) onwards Western culture has sought to ‘pin down’ the iridescent, sparkling and constantly changing human psyche into particular categories. In the hundred years or so since Freud published his first papers in Vienna the science and study of psychology has flourished and developed in many different directions. The direction taken by psychology and psychologists has often depended on their attitude to what is called the mind-body problem, or, as the contemporary British philosopher Colin McGinn puts it ‘how can the water of the physical brain be turned into the wine of consciousness?’ Simply put, when we consider the rich storehouses of our mental lives – dreams, fantasies, thoughts, memories, motivations etc. and then look at the physical processes of a chunk of grey material the size of an average cauliflower we seem to have two different materials – two different substances even – how can the two be related? Although of great contemporary scientific and medical relevance this question is not new and has troubled philosophers for centuries, beginning with Plato (429 –347 BCE). How we respond to this question will determine our view of psychology, psychotherapy and ultimately of mind/soul. Broadly speaking, since the development of the cognitive sciences and medical approaches from the middle of the twentieth century onwards there has been a branch of psychology that tries to reduce, or at least limit the functions of the mind to those of physical brain processes (much present-day cognitive psychology would fall into this category) and a branch of psychology which attempts to interpret mental function without necessarily relating it to physical function (many psycho-analytic and counselling approaches would tend to fall into this category). The ‘Father of Psychology’, Sigmund Freud, fell into both categories. Trained originally to investigate cognitive processes through physiological means under the influence of the then fashionable ideas of Hermann von Helmholtz (1821 -1894), he later became interested in the functioning of psychic processes qua psychic processes. His middle to later work shows the influence of both approaches and he seems to have lived in uneasy tension between the two. One of his earliest collaborators and original psychological thinker in his own right, Carl Gustav Jung (1875 –1961) tended to move away from reductionist views of the mind and saw mental processes as part of a larger, or in his terms, archetypal psyche out of which much of human civilization, development and indeed religion derives. Following on the insights of Freud and Jung later psychologists have concentrated on key aspects of psychological development, the processes of intellectual thought and the development of human emotion and feeling. Indeed, many of the developments and ideas of psychology over the past hundred years seem so self-evident to us and are taken for granted that we do not realize how relatively modern they are in terms of human cultural development. We speak easily and knowingly of someone being ‘extrovert’ or ‘introvert’ and we use phrases such as ‘the unconscious’ or ‘the ego’ without really considering what we mean by these terms. In fact, all of these terms, as used today, are relatively modern in their development and usage. Coupled with these developments of our understanding of personality we have also largely increased our understanding of the physiological functioning of the brain and how this relates to psychological functioning. The words ‘psychology’, ‘psychotherapy’ and ‘psychiatry’ all have their roots in the Greek word psychē/ψυχή . As well as attachments to the mysterious Greek goddess of that name the original Greek word relates to a number of concepts that can be translated as breath, bright, coloured, iridescent, moving, life, spirit and even butterfly (See Tyler 1997:82). If the psyche is indeed ‘iridescent and sparkling’ like a butterfly, how then do we ‘heal the butterfly’ – be a therapōs of the psychē? If you have ever picked up a butterfly to release it from its prison in your house you will know the care required to transport it to freedom without damaging its gentle and fragile nature. This is the challenge that faces all who work with the psyche whether they be counsellors, therapists, clergy, lay healers, psychiatrists or spiritual directors. Philosophy may in no way interfere with the actual use of language; it can in the end only describe it. For it cannot give it any foundation either. As Kunkel said, we ‘watch and we wait’. The therapist therefore sensitively observes the choreography of the psyche and spirit as they skate on the surface of the mysterious, the unknown (unheimlich), Freud’s ‘unconcious world’. For Wittgenstein this involves a choreography of ‘what is said’ and ‘what is shown’. Thus the therapist and counsellor must of course pay attention to what is said to them, but perhaps more importantly what is not said but shown. For in therapy more insight can often be found in the unspoken rather than the spoken. Again, at this point we can usefully rely on the terminology of Freud: this is what he termed the ‘transference’ and ‘countertransference’ between the listener and the speaker. I would argue such a position is doomed to failure as therapy and counselling are themselves modes of operation other than and in many ways alien to the operations of the dividing and cutting cognitive mind. They are more at home in the unheimlich – that which is ‘not at home’ – that which is ushered in by the strange and inexplicable phenomena from the ‘meadows of the underworld’. In this respect, I would argue, the successful therapist or spiritual director is closer to that of the artist and poet than to the scientist or analytical investigator. Freud, and Jung understood this despite Freud’s attempts to put his nascent discipline on a more ‘objective’ and ‘scientific’ footing. This seems to have wrong-footed later commentators. With the benefit of hindsight we could conclude by saying that counselling and psychotherapy owe more to the realm of myth-making than scientific observation and how we understand that will depend on our view of the value of mythos in a world increasingly obsessed by the emergent dominance of the logos. As I return to Bangalore and see the spirit of innovation, industry and enterprise fill the city I am delighted for the prosperity it will bring my friends here. However, like Tagore, I fear the ‘spirit of violence’ dormant in the calculative role of the logos. Mythos and logos both are needed for the true development of the human spirit. Tagore’s final hope was that ‘a new dawn will come from this horizon, from the East where the sun rises’ (Tagore 1961:359). As India integrates the insights of Western psychology with its own mythic streams my own hope would be that Indian intellectual life will preserve both mythos and logos in the future psychological paths it undertakes. This article is an amended version of part of Picturing the Soul: Revisioning Psychotherapy and Spiritual Direction (forthcoming Dharmaram). For more on the relationship between Wittgenstein’s philosophy and Christian spirituality see Tyler 2011. Wittgenstein uses the phrase Übersichtlichkeit – literally, ‘right seeing’ or ‘clear overview’. For an excellent recent discussion on Wittgenstein’s choreography of saying and showing in relation to his views of self see Chapter Two of Jose Nandhikkara’s Being Human after Wittgenstein (Nandhikkara 2011). The German word for ‘unconscious’ is Das Unbewusst, literally ‘the unknown thing’. Image: “Wittgenstein, Ludwig“. Photograph. Encyclopædia Britannica Online. Web. 27 Feb. 2014.